The UNESCO World Heritage List includes 890 sites around the world that the World Heritage Committee considers ‘have outstanding universal value.’ This means that although they may be important to the heritage of the local residents, they are also significantly important to world heritage. One of the advantages to living overseas is the luxury of time that the traveler does not have. While many of the places on the UNESCO World Heritage List are major tourist destinations, most are not on the usual tourist routes and therefore only a determined traveler or a resident will be able to see these special places. Unfortunately, some of the sites have come under threat for various reasons. As travelers we are in a position of observer but as expats we become more involved in our local communities. If you live in or near any sites listed on the World Heritage in Danger List, what can you do to help pull them out of danger? There are 31 sites the World Heritage claims are in danger, below are the seven sites in the Middle East. This site represents the artistic and religious developments of ancient Bakhtria (1st to 13th centuries), and has outstanding examples of the Gandharan school of Buddhist art. This was a significant period in Buddhist history. This valley contains many Buddhist monastic areas and sanctuaries but also forts from the Islamic period. This site is located on the Silk Road and was an important centre of pilgrimage for centuries. 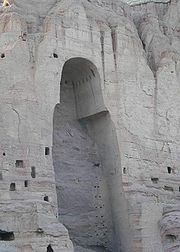 The area has also become representative of the senseless destruction by the Taliban of the two standing Buddha statues in March 2001. As an outstanding example of Islamic architecture, the Minaret of Jam is a significant site because of its innovative architecture and high quality artwork. Standing 65 meters tall in a deep river valley between mountains in the Ghur province, this striking structure dates to the 12th century. The elaborate brickwork and design covering the Minaret of Jam represents the architectural and artistic traditions in this area. It is believed the art and architecture on the Minaret of Jam was a significant influence in the development of art and architecture throughout the rest of the Indian sub-continent and perhaps further. 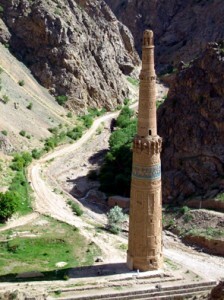 The minaret and the archaeology in the area bears testimony to the ‘power and quality of the Ghurid civilization that dominated its region in the 12th and 13th centuries. Bam is located at the southern edge of the Iranian high plateau in a desert environment. 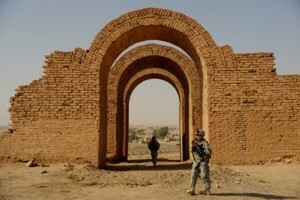 The ancient fortress of Arg-é Bam probably dates to around 2000 years ago, to the Parthian Empire (248 BC–224 AD). However, most buildings were built during the Safavid Dynasty. 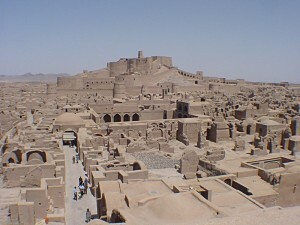 Arg-e Bam is also an excellent example of a fortified medieval town in the Central Asian region, built using mud layers. An oasis known for its silk and cotton clothing, Bam was once located on the crossroads of several influential trade routes. Bam experienced its most influential period from the 7th to 11th centuries. The oasis was maintained by underground irrigation canals, the qanats. The maintenance of the qanats was based on a strict social system, including specific tasks and responsibilities, which remained in place until modern times. Unfortunately this has now become susceptible to irreversible change. Ashur is located on the Tigris River in northern Mesopotamia. This ancient city dates back to the 3rd millennium BC. It was the first capital of the Assyrian Empire during the 14th to the 9th centuries BC, and the place for crowning and burial of its kings, as well as an internationally recognised trade centre. Ashur was also the Assyrian religious capital, associated with the god Ashur. Although the Babylonians destroyed the city, it was rebuilt and resettled in the 1st and 2nd centuries AD, during the Parthian period. The excavated remains provide an exceptional record of the evolution of building styles from the Sumerian and Akkadian period through the Assyrian empire. 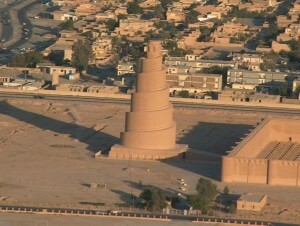 Samarra Archaeological City is the location of a once powerful Islamic capital city that ruled the Abbasid Empire that extended from Tunisia to Central Asia for over a hundred years. Located on the River Tigris north of Baghdad, the site covers a large area, and was fairly well protected by Iraq until recently. With the tragic loss of the incredible monuments in Baghdad, Samarra has become the only physical trace of the Caliphate at its height. As the only surviving Islamic capital that retains its original plan, architecture and arts, such as mosaics and carvings, this site offers excellent examples of innovations that developed there and spread to the other regions of the Islamic world and beyond. At least 80% of the site remains to be excavated. Since the war in Iraq began in 2003, multi-national forces that use it as a theatre for military operations have occupied this site. The responsible authorities are not able to maintain proper care and management of the site. Jerusalem is of great symbolic importance and always has been because of it’s significance to the three religions: Judaism, Christianity and Islam. 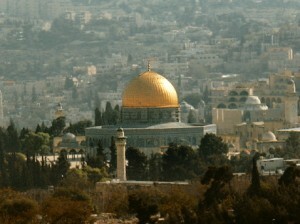 Jerusalem has around 220 historic monuments but one of the most holy to all three religions as the site of Abraham’s sacrifice, is the Dome of the Rock, built in the 7th century. 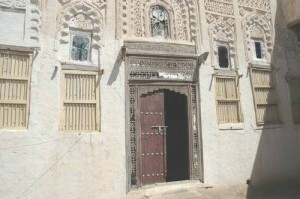 Zabid, one of the oldest towns in Yemen, is an outstanding historical site because if the domestic and military architecture as well as its urban plan. Zabid was the capital of Yemen from the 13th to the 15th centuries but it was also a significant city for many hundreds of years in the Arab and Muslim world because of its excellent Islamic university. Zabid is now in a state of very poor upkeep and little to no conservation efforts have been made. Almost half of the city’s beautiful, intricately decorated historic houses have been replaced with concrete and the rest of the ancient buildings and souk are in a greatly deteriorating condition.